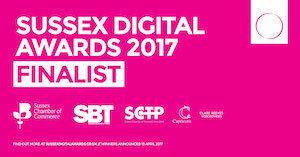 "Well I thought the first design of our website was outstanding and a real cut above not only to the competition but also compared to any of the numerous sites I visit. So what do you go and do now.... you make it even better and easier to use. Many thanks and very well done .... again!" Since 1999 we have been providing professional, business class Website Design, Hosting and Digital Marketing services that enhance our client's services and products effectively enabling them to reach new customers and clients. We love what we do and this ensures that we are always motivated to provide our clients with the best in branding, website development, intranets, search engine optimisation. Our dynamic and highly skilled team deliver easy to manage solutions that meet increasingly sophisticated content management requirements. 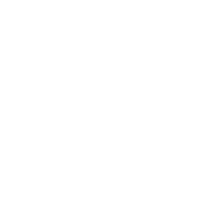 Call 01403 586026 today to discover how we how we can help you or Click here to Request a callback for more information. Rob has been a professional driver and Advanced Driving Consultant for over twenty years and works with private clients whose joy it is to own high performance cars, such as Porsche, Lamborghini, Bentley, Aston Martin, Ferrari, Maserati. Rob approached us to completely re-imagine a new web presence for his business. Paradigm Planning was established by a team of experienced Chartered Town Planners who wanted to change the paradigm of making planning applications by working with the local authrorities concerned to achieve a better outcome for the clients. As such they wanted a fresh and responsive website to reflect this. Dr John Church is a Chartered Consultant Clinical Psychologist widely recognised in his field providing psychological therapy to individuals, and psycho-legal expertise to agencies providing medico–legal services and rehabilitation. D&M Planning Limited is a firm of Chartered Town Planning consultants based in Godalming, Surrey and as part of an overall programme to maximise their use of new technology, they approached us to commensurately enhance their digital profile. Siric can offer a complete service to provide your company's on-line presence from Domain Name Registration through to building and hosting a dynamic website that can add real value to your business. We undertake every type of website project, from simple sites through to large corporate websites. All sites are designed and constructed to our client's brief. Whatever your requirements we aim to employ the right hosting solution for your website or web application. We take care of your hosting with pro-active maintenance and patching ensuring security and reliability. All websites are situated in a state-of-the-art secure UK data centre, manned 24/7, using a network operating on industry leading network equipment. We offer organic SEO Services with a full range of supporting services. It is preferable to achieve good organic search results for your web site before you consider purchasing keywords. However for quick results for your web site, Pay Per Click advertising can provide more immediate results.